Beauty Box 5 has gifted me with a complimentary subscription for review purposes. All opinions are completely my own. I feel like I say this every month (because I do! 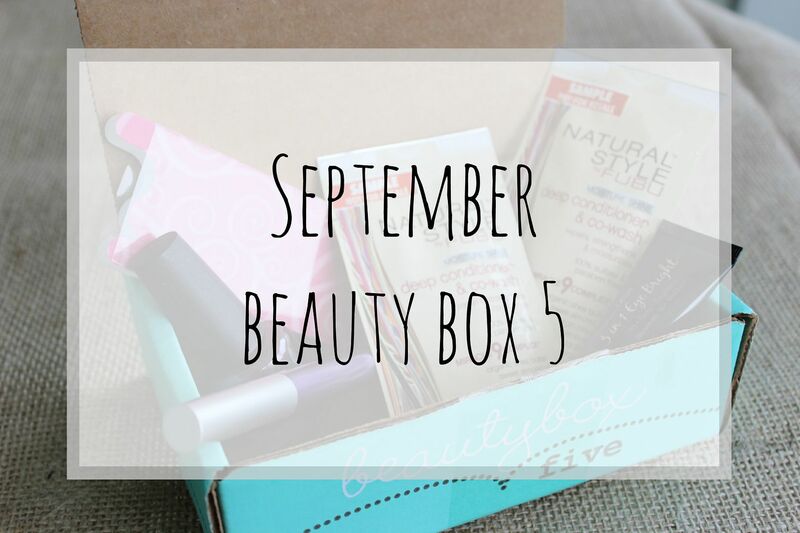 ), but Beauty Box 5 has knocked it out of the park again with this month's beauty samples. They always send me items that I actually end up using and quite often fall in love with new products. 1.) My Beauty Spot Nail Polish - Just in time for fall, this dark plum color is perfect for the season. And My Beauty Spot nail polishes dry fast, which is a huge bonus for this busy mama. 2.) Sally Hansen Toe Spacers - Aren't the pink toe spacers adorable? I love having fun and pretty beauty tools, it just makes me smile. Thanks to these toe spacers, my at home pedicure can be smudge free. 3.) Natural Style Deep Conditioner and Co-Wash - This deep conditioner contains eight repairing oils and shea butter, which will leave hair silky smooth. The product is gentle enough to be used as a co-wash for girls with curly hair and as a deep conditioner for all hair types. I love that BB5 sent me 2 samples, that way I can really try it and see how it works on my hair. 4.) Chrislie Formulations 3-in-1 Eye Bright - This is a serum that you use around your eyes to acheive a smoother, brighter and firmer look. 5.) Nicka K New York Eyelight Crayon - My high school self would have loved this crayon! The shadow stick adds a pop of color to your lashline that lasts. This is a great alternative to regular black eyeliner, giving you a fun pop of color. If you are interested in receiving Beauty Box 5 for yourself or giving as a gift, you can sign up here. 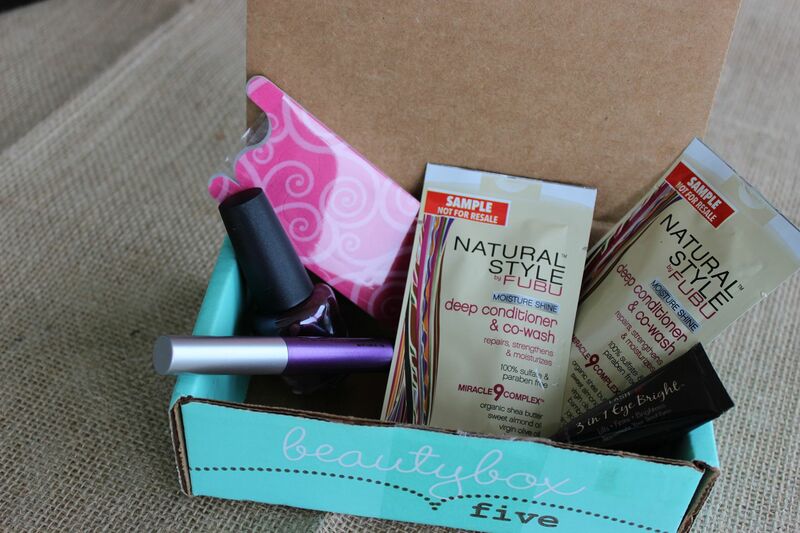 Beauty Box 5 is a beauty subscription service that sends a box of five different beauty samples to your mailbox each month for just $12. I always love seeing what you get in this box every month. I finally signed up for Ispy. I hope I'm going to like it.